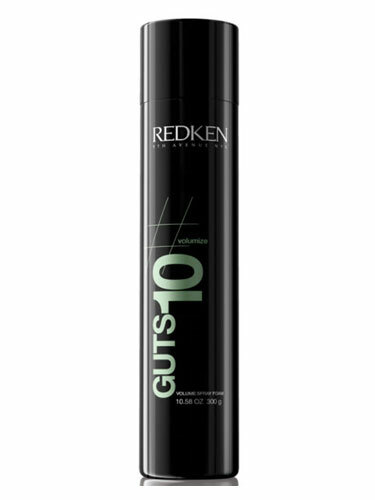 Boost hair with flexible fullness and bold, gutsy style. Must have mousse can be applied directly at the roots for added volume and texture. Shake well. Spray on damp hair and style.